A voiceover tells us that storytellers have always existed, but there are the rare few who are "Silvertongues" who can bring characters to life. Often, they don't know they possess the gift. Mortimer Folchart (Brendan Fraser) is sitting with his wife, Resa (Sienna Guillory). They are trying to calm their baby girl down for bed, so Mo picks a book to read: Little Red Riding Hood. As he is reading aloud, things shake and move slightly (only noticed by Mo), and a red riding hood falls into the back yard onto their clothesline. Twelve years later, Mo and his daughter, Meggie (Eliza Hope Bennet), are on their way to another old bookshop (as always, because Meggie expresses the wish to go to modern bookshops where they can have hot coco, etc.) in Germany. But Mo loves old books. Meggie says that maybe he will find the old book he is always looking for. Apparently, he always scours every corner of old bookshops looking for a very specific old book that he has never been able to find. Mo heads into an old shop while Meggie waits outside in the street looking at other books. Mo introduces himself to the shop owner, who recognizes him as "that famous book doctor!" He brings out one old book for Mo to fix, which he says he can. The owner invites him to look around at all the old books that he has, and Mo wanders off to the back. As he wanders, he hears whispered lines coming from the book. He hears a specific voice, one he obviously recognizes, and he hunts it down and pulls out "Inkheart" and opens the cover. Outside, a ferret shows up at Meggie's feet. He has tiny horns, and he tries to bite her when she offers him a piece of her sandwich. Behind her, a man, standing next to fire, calls the ferret (named Gwin) to him and talks to a moment, saying, "You know what they say about ferrets." But she gets up saying she knows what they say about strangers, too. He says they aren't strangers though. "Last time they met she was very little, Meggie." She turns when he says her name. Mo comes running out of the bookshop, and calls the man Dustfinger (Paul Bettany). Dustfinger calls him Silvertongue. Mo asks what he wants. Dustfinger says he's been looking for him, following him for long while, and he wants Mo to fix what he did nine years ago. Mo says that if he wants him to read for him, he's out of luck. Dustfinger asks to take a walk with Mo, and as he walks away he blows on his hands to warm them and they glow with fire. Dustfinger says he wants to be read back in to the story, and he asks for the book. Mo says he doesn't have it. Dustfinger says Capricorn is looking for him. Mo hits Dustfinger with his "book doctor bag" and takes off running. He meets up with Meggie and they get in their van and take off. Meggie keeps trying to ask what is going on. But Mo won't say anything other than that they are on their way to Italy to see Meggie's great-aunt, Elinor (Helen Mirren). At Elinor's mansion, they go through a gate with a sign on it that reads, "Don't even think of wasting my time. Just go way" in several different languages. Mo says Meggie will like her; she just takes some getting used to. When the ring the doorbell, Elinor yells "Quit ringing the damn bell!" and finally answers, begrudgingly. But she is excited to see them, and the next scene is they in the garden having tea. Elinor asks if they have heard from Resa, which Mo says they haven't. Elinor offends Meggie by saying that Resa abandoned their family. Meggie says, "She loved us" and gets up and walks off. Mo and Meggie take a walk, where Meggie again asks what really happened to her mom, and what is going on. Mo confirms that she didn't abandon them, and Meggie says that she makes up stories about her mom and writes them so that she can be alive to her. Mo tells her not to do that; "There is a power in words." Back in Elinor's MASSIVE house, which is filled floor to ceiling with books, Meggie is exploring and finds a room with lots of old books. In a large glass case, she looks at a very old, illuminated book. She leans up against it and Elinor bursts in screaming at her to not touch anything! "Do you have any idea how valuable that manuscript is?" Meggie says she does (shes bookbinders daughter, of course she knows! ), and identifies it as a Persian manuscript that, based on the illuminations and the colors used, is probably from the 1200's. She asks if Elinor has ever been to Persia? Elinor says that she has, and so many other placed around the world, as wells as Middle Earth and Oz, and she never had to leave her home to go there, implying that she lives through her books. Elinor lightens up and gives Meggie a book, "The Wizard of Oz", which was her (Meggie's) mother's favorite. Elinor tells her that Resa used to curl up in the window seat and read all day. So Meggie curls up in the window and reads all day. Late in the evening, she begins to hear whisperings like Mo hears. Suddenly, we see the ferret crawling back to Dustfinger. He breaks in on Mo and says that he had no choice, he turned to Capricorn. Mo freaks out and takes off looking for Meggie and Elinor. They are in the library, and there are men in there with writing tattooed on their faces that are destroying the library. Elinor gets so mad when they rip up the Persian book that she punches the man who did it. Mo recognizes one of the men as Basta, and Basta laughs and pulls back Mo's sleeves saying "I'm sure you remember me" and reveals three deep scars on Mo's arm. Meggie, confused, asks what is going on when Dustfinger takes "Inkheart" away from Mo, who says it is the only way to get his wife back. Dustfinger asks her if her father has ever read aloud to her. They lead the three outside where they are burning all of Elinor's books. Meggie sees "The Wizard of Oz" in the flames, and wants to take it out. Dustfinger gets it for her, but Meggie won't take it from him. They're loaded up into the back of a truck and taken to a large castle on a hill. There are men with writing on their faces everywhere. They are taken to the barn (that's the best way to describe it) that is full of mythical creatures: crocodile that is ticking, monkeys with wings, and a unicorn, all with writing on them. Elinor asks where all these animals have come from. Mo says that they came from books, and Elinor laughs it off, but Meggie asks what that means. He says, "Here's the story you've been waiting for." He tells her that when she was very little, they were visiting Elinor. Elinor was gone to a book fair, and Mo decided to read the new book he had gotten earlier that day. As he was reading, suddenly Capricorn appeared out of nowhere. Basta followed him, and Dustfinger immediately after that. Capricorn was about to kill them, but Dustfinger stopped them and saved Mo and Meggie. It was only then that Mo realized that Resa had disappeared in to the book when the other three had come out. And that was the true story that Meggie has been waiting for. They're then taken to Capricorn (Andy Serkis); on the way, Mo tells Meggie not to worry, children always get out okay. Meggie says, "Not all of them. Remember "The Little Match Girl"? They found her in the alley. She was dead." In Capricorn's main hall, they have man who is obviously cold and out of place. Capricorn introduces him as Darius, his current reader. But he's got a problem, because, well watch: Darius is tossed "Rapunzle" and he reads aloud, stuttering the whole time, and Rapunzle suddenly appears running down the hall. They catch her and take her to the dungeon. Capricorn threatens Meggie so that Mo will read aloud for him. Mo reads from "Arabian Nights", giving the disclaimer that he can't control what comes in or out of the book. Sure enough, along with the fantastic gold he reads out, a boy, Farid, comes falling from the ceiling, too. Dustfinger jumps up and says it is his turn, implying that Capricorn said that Mo could read him back after he'd produced the gold. But, Capricorn says, "I lied." 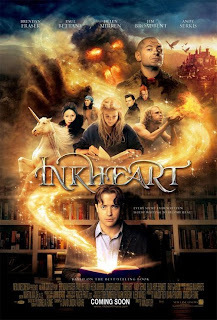 And burns the copy of Inkheart that Dustfinger had taken from Mo and given to Capricorn. Capricorn says, "Why would I want to be read back?" This world is so accommodating, with its guns and "what's that sticky stuff called? Duct tape, I love duct tape." Before, he worked for the Adderhead, roaming in the forest with the beasts, but here he has his own castle. He sends Mo, Elinor, and Meggie back to their "barn stall". Dustfinger goes to the kitchen to see a kitchen maid, who he calls Resa (who can't talk), who is trying to escape, again. He talks to her about wanting to be home, and how he never burns his hands at home in his world. Resa gets a bowl of ice for him to cool his hands in. He thanks her and falls asleep. He dreams of his home, and his wife asking him to come home. He wakes up, and asks Resa what he can do to repay her. She shows him a picture of her family that she had drawn. Dustfinger realizes that Resa is Mo's wife, and Meggie is her daughter, but he won't tell her what he knows about the two of them, even though she realizes that he knows something. He promises to help her. We follow Dustfinger's ferret, Gwin, into the Magpie's (Capricorn's mother) room. She is asleep, and Gwin sneaks up and steals a key from her breasts. 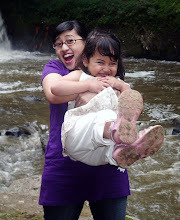 The key is needed to unlock Resa from the chains keeping her in the kitchen, and Gwin runs the key to Resa. In the "barn", Meggie is trying to comfort Farid, who is saying that this is all just a dream, and trying to get her to stop talking to him because it is bad luck to talk in a dream. Dustfinger shows up and overhears Mo, Meggie and Elinor talking about reading Resa out. Meggie suggests that the author might be the only person who has a copy of Inkheart. Dustfinger suddenly reveals himself to them, and tells them he's going to help them escape. Mo asks how, and Dustfinger hands him "The Wizard of Oz" and has Mo read the tornado out of the book. They get away, but not before Resa, who has fallen through a floor and into a cellar and gets trapped, sees them. She and Dustfinger see each other, and she realizes that he did know where he husband and daughter were. She asks for help, but Dustfinger get us up and runs away. Mo and company climb into a truck and take off, headed for Alassio to find Fenoglio, the author of Inkheart. Once in Alassio, the group separates: Elinor hands Farid some normal clothes (he's been in "Arabian Nights" clothes this whole time) then gives Mo directions to Fenoglio's and heads for the train station because she wants to go home where books stay on the page; Dustfinger doesn't want to see the author of his story (he's scared to); Farid stays with Dustfinger; Mo and Meggie head off to find Fenoglio. At Fenoglio's Mo has a hard time explaining what is going on and why they want to see him, but Meggie just says it like it is. While she is explaining how the characters have come to life, Dustfinger is in the market square observing a fire-eater. He remembers being in his world in the castle putting on a fire show and sees his wife again. Fenoglio, Meggie, and Mo are on their way to the market because Fenoglio wants to meet his character. Mo is trying to explain that he just wanted to get the book so that he could read his wife back into this world and read Dustfinger back in. Fenoglio says, "You've just given me an idea for a new character, someone like a blue jay who takes things from the rich to help those around him (alluding to the sequel to "Inkheart"). In the market place, Dustfinger is putting on a magnificent display, playing with fire magically. Farid asks him what the finale was called, and Dusftinger says it was "dragon's breath." Farid asks, "Can you teach me?" Fenoglio says he (Dustfinger) is just like he imagined him. Dustfinger sees him and flips out a bit, trying to hide behind Mo. Mo explain that he's afraid to meet him because of how his story ends. Fenoglio says, "What? Because he dies?" Dustfinger looks shocked, and Meggie is surprised, too. Fenoglio explains that every story can't end happily. Dustfinger says that Fenoglio isn't in control of his fate and tells him to get a copy of "that book." Up in Fenoglio's attic, he explains to Mo and Dustfinger that the book has been out of print for decades and that his last copies had been stolen at an exhibit. He had just chalked it up to bad luck. They find the original manuscript, and Mo says he's going to read Resa out. Dustfinger lets slip that Resa doesn't need to be read out because she's already out. Mo and Meggie are furious that he hasn't told them that yet, but Dustfinger defends that if Mo had known that he wouldn't have agreed to go get the manuscript, and it was the only way for him to get back to his family. Mo promises to read him back. At the train station, Elinor decides not to get on the train, but heads towards Fenoglio's.Mo and Dustfinger leave Meggie and Farid with Fenoglio while they head back to Capricorn's castle to rescue Resa. Halfway there, Gwin tells Dustfinger that they need to stop. In the trunk is Farid, who didn't want to be left behind and really admires Dustfinger and wants him to teach him how to play with fire. Back at Fenoglio's, Meggie is in her room when she decides to read aloud from "The Wizard of Oz." Suddenly, Toto appears in the room. Fenoglio knocks on the door, and when she answers he says, "I had no choice!" Low and behold, it's Basta threatening him with a knife! Fenoglio is far too excited about seeing his characters in the flesh, and sees Toto. He realizes that Meggie has the same ability as Mo, and says it aloud. Basta decides to take Meggie with them back to Capricorn because he would definitely like having another reader. Mo, Dustfinger, and Farid arrive at Capricorn's castle. Dustfinger helps them get to the maid's quarters, and Mo sneaks in and finds Resa's room; the walls are covered in Resa's pictures, and Mo recognizes her sketches. Outside, Dustfinger is getting impatient, and Farid stops him from leaving too soon and getting caught. But Farid then breaks something that fell out of his pack, and the guards come back and catch Dustfinger and haul him off to the dungeon. On the way, they pass Resa, who is hanging in a net over the courtyard. She grabs his hair, and he apologizes for not helping her out when he had the shot. He tells her that Mo and Meggie are here. Fenoglio and Meggie are being taken to Capricorn, and Fenoglio is absolutely amazed; he says, "I'm walking into my imagination." But the comment is made that the story could be written, which gets Fenoglio thinking. In Capricorn's hall, Meggie reads all sorts of things out of books: Cinderellas slipper, a gingerbread house Capricorn is convinced, and decides that Meggie is going to read something out of Inkheart. His witch-mother pulls a copy of the book out of a chest that is filled with snakes. Capricorn wants to read out the Shadow, a creature that is feared in his world, and can completely destroy an entire village on its own. He wants to control this world: "write his name on every page of this world." Meggie says she won't read anything for him, but he takes her to see her mother, and her tune rapidly changes. She's taken down to the dungeon where she and Fenoglio begin to furiously work on an alternative ending to what Capricorn has planned. But Fenoglio has writer's block and it is getting hard to write anything. He recalls writing out his "inkworld", with the water-nymphs, the great castle of Ombra, the Adderhead, and the Black Prince. He really wants to go there. there, and apologizes for getting him caught, and they formulate a plan to get Meggie and Resa out of the castle after Dustfinger tells them that Capricorn is planning on using Meggie to read the Shadow in to this world. Elinor is on her way to the castle, yelling and talking to herself about how she's crazy for heading back to such a dangerous place on the back of a motorcycle! Down in the dungeon, Fenoglio is still struggling, and Meggie offers to help since she wants to write. He finally gets something that might work, just as the Magpie comes down to get Meggie so she can put on her party "frock." He covers up what all the paper is by saying it is what he wants people to remember him as. She says that is appropriate because he's going to be fed to the shadow. Meggie is hauled off and forced into a monstrous, white, medieval gown that look horribly uncomfortable. The party is getting started as Mo, Dustfinger, and Farid nab black outfits from the random goons running around. Dustfinger and Farid go and get gasoline to start a fire to distract Capricorn's men, and Mo heads off to find Resa and Meggie. He finds them, but Meggie is being walked down to a podium to read from Inkheart, and Fenoglio, Toto, and Resa are all in a cage. Capricorn orders Meggie to start reading, which she does. Dustfinger and Farid start dumping gasoline in the hallways in Capricorn's castle. Mo is trying to tell Meggie to stop reading. The Shadow begins to appear, made of dust, smoke, and flame. Fenoglio throws a crumpled piece of paper and Toto runs and gets it. He runs it to Meggie. Capricorn is just commanding the Shadow to eat Resa and Fenoglio when Meggie starts reading the words that Fenoglio wrote. It begins to take effect, and the Shadow begins to turn on his master. The Magpie grabs the words from Meggie. Farid and Dustfinger begin blowing fire in the halls, and they catch fire. Elinor frees Darius from the barn, and they start releasing all the animals. She comes riding in to the middle of the "reading" on the back of the unicorn. Mo tells Meggie to keep reading. She says she doesn't have any words. He says, "Then write!" He tosses her a pen, and she begins scribbling on her arm, reading as she goes. Capricorn begins to crumple like paper, and the shadow finally dissolves as Capricorn turns to dust. His henchmen all turn to dust, and Meggie reads that all the characters within her sight who had been read here against their will go back (which gives Resa her voice back). The mystical creatures and Toto disappear, and she then read Fenoglio into his own story. Dust finger is afraid he is going to miss his chance to get back into his home, so he is running to get to the courtyard, but he just misses it. Resa, Meggie, and Mo finally get to be reunited with nothing standing in their way. They start to leave, when Meggie notices that the book, Inkheart, is not in its place. But they keep going, just all wanting to get home. Dustfinger is standing on the bridge, when Farid shows up wondering if Dustfinger was just going to leave him. Dustfinger says he would be better off without him. Farid hands him the copy of Inkheart he had nicked from the podium. He says that they could find someone else to read the book and Dustfinger back since Dustfinger doesn't think Mo will read him back. As they are leaving, Mo catches up and says, "I promised." So he reads a section from the book where Dustfinger (in the story) sees his home for the first time in a long while. Dustfinger (in our world) closes his eyes and suddenly he is home. Mo smiles, and tells Farid he can't read him there. Resa and Meggie catch up, and Meggie invites Farid to stay with them. They head home. Dustfinger looks over the meadow ahead of him and sees his home, and his wife working in the fields in front of him. He runs up and they embrace.